The announcement of Pantone’s color of the year sets off trends in home design, window treatments, wall coverings, fashion, and more. For 2014, the color is a striking combination of purple and pink called Radiant Orchid. While this color is very bold, it can be used in combination with many different colors. Neutral tones allow the boldness of the color the color to really stand out. Pair with with reds, yellows, or oranges to bring out its pink side. Pair with purples, blues or greens to bring out its purple side. Here at Windows & More serving the Lake Ozark area, our decorators can help find ways to incorporate Radiant Orchid into your home design. Custom bedding is a beautiful way to use Radiant Orchid in your bedroom design. Create a custom comforter with Radiant Orchid, or design throw pillows and shams that bring the color in as a bright accent. Our designers can work with you to make this new color a bold part of your bedroom makeover, or introduce it in a more subtle way. Radiant Orchid words on traditional velvet, chintz or patterned fabric. Corduroy is also making a comeback, and the boldness of this year’s color combined with the soft and cuddly corduroy feel may work perfectly in your home. Whether on a pillow, a couch, or chair, corduroy exudes comfort but looks just as vibrant in a formal room. Corduroy is a feel-good fabric, perfect for this year’s color of the year. We can help you find creative ways to use Radiant Orchid in your home design. From full-length flowing drapes to a simple pillow accessory, Windows & More proudly serves Lake Ozark, Osage Beach & Camden, Miller & Morgan counties, with a showroom in Osage Beach. 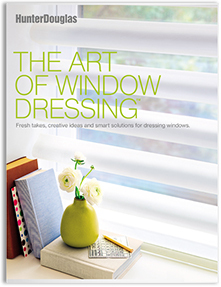 Contact us for a window treatment consultation!